All ESCONDIDO/PARC AT homes currently listed for sale in Converse as of 04/25/2019 are shown below. You can change the search criteria at any time by pressing the 'Change Search' button below. "Beautifully maintained home in the nicest neighborhood in the area with short drive to Randolph AFB and Fort Sam. Home backs to a wonderful greenbelt and a very short walk to the community pool and playground. Large open island kitchen with stainless appliances and granite counter tops. There is also a game room and separate media room." 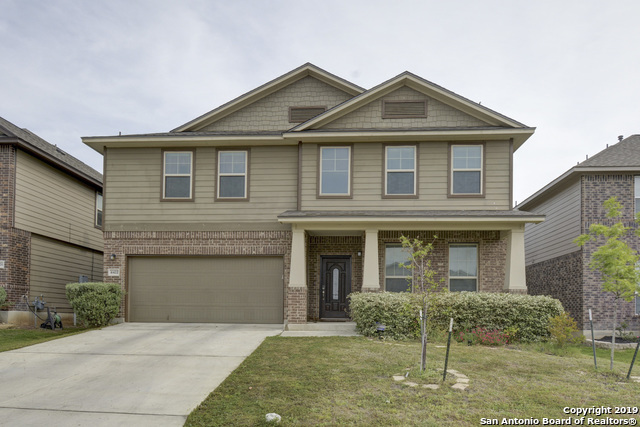 "This 4 year old Bella Vista Home is their popular Penshaw floorplan. It's a very beautiful and spacious 5 bedroom, 3 1/2 bathroom home with over 2700 sq ft of very usable space. The backyard is large and doesn't directly back up to neighbors. The remainder of the structural warranty remains with this home and the neighborhood amenities are beautiful. All appliances stay including stainless steel refrigerator, washer, and dryer. Come on out and fall in love today! Co-listed with Shila Egalite." 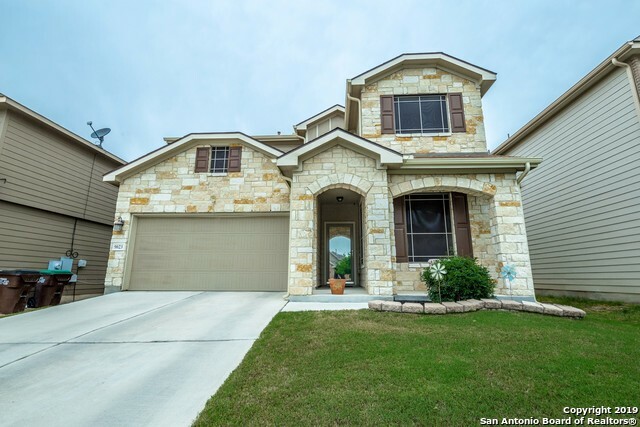 "Spacious 2 story home w/ beautiful curb appeal. This home enters to large office / study. Open fully updated kitchen with new cabinets, granite counter tops, tile back splash & more. Spacious living room with high ceilings that looks out onto fully enclosed sun room in backyard. 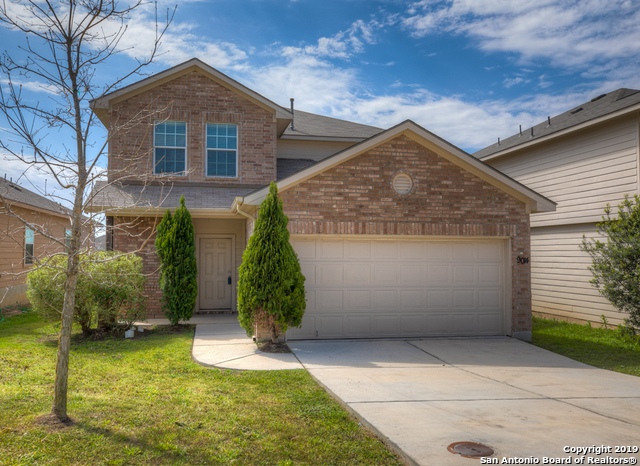 Large master downstairs w/ full bath Separate Tub/Shower & custom master closet. Open game room /media loft @ upper level. Remaining spacious secondary bedrooms located upstairs w/ full bath! Large backyard! 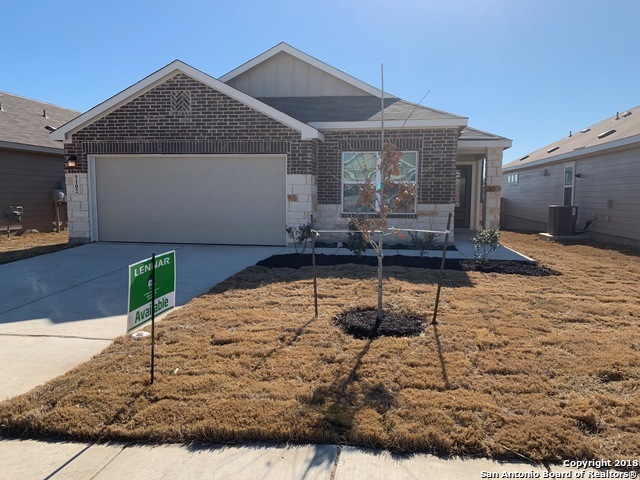 View this on"
"Why build, this beautiful home in East Central ISD is move in ready! Open kitchen has a center island with beautiful granite countertops. Master bedroom is downstairs, master bath has garden tub. Upstairs is home to 3 additional bedrooms plus an ENORMOUS gameroom. If you need a 5 th bedroom, you could easily divide the gameroom into 2 rooms. You could also use it as a home office or media room. 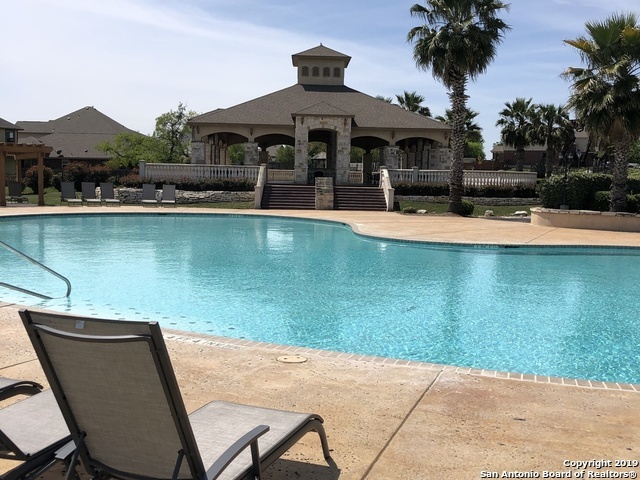 Amenities include a pool, sand volleyball, basketball court and tennis courts. Open house Sat. April "
"This wonderful one-story home features a spacious family room that flows seamlessly into the lovely dining room and roomy kitchen. The kitchen features a large center island, plenty of counter space and a dedicated pantry. The master suite is beyond the kitchen, offering plenty of space, as well as a master bath with dual vanities, a large soaking tub and a spacious walk-in closet. This home also has three secondary bedrooms, which share a second bath." 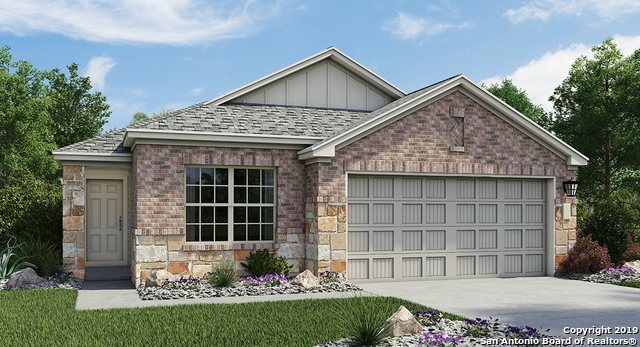 "This one-story Barrington Collection home greets you with a long foyer when you enter the home. Two secondary bedrooms are to your left, sharing a secondary bath. Walking through the foyer, the home opens to a spacious kitchen that flows into the dining room and large family room. Relax in the evenings on the covered patio. The master bedroom features its own private bath with dual sinks, a large luxury walk-in shower and a grand walk-in closet." "Gorgeous 3 bedroom, 2.5 bath home, with huge game room and study! Spacious master suite, has separate garden tub and walk-in shower, double vanity and spacious walk-in closet. Gourmet kitchen comes gas stove, includes refrigerator, microwave granite counter tops, walk-in pantry and lots of counter and cabinet space! Washer and dryer are negotiable! Enjoy entertaining in the backyard, with covered patio and beautiful landscaping. 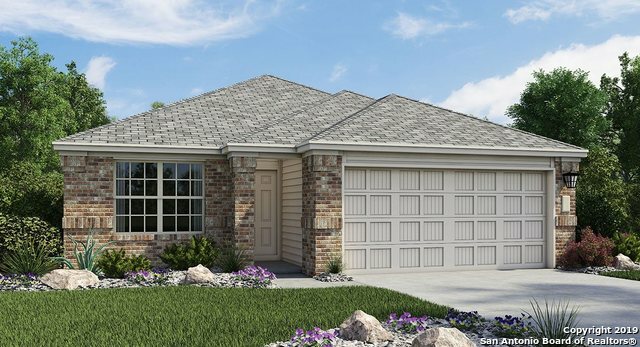 Easy access to Interstate 10, located near Randolph AFB and Fort S"
"This wonderful one-story plan opens to a flex room that can be used in various ways, including as a playroom or study. Continuing through to the kitchen, it features a large island that overlooks the spacious dining room and family room. The master bedroom is beyond the family room and relaxing covered patio and features dual sinks, and a large walk-in luxury shower. Two more secondary bedroom share a second bath near the walk-in utility room and two-car garage." "Conveniently located 4 bedroom with a large game room! New interior paint on all walls in home. Large closets in every bedroom! Covered patio, and plumbed for water softener! Priced right, this home is perfect for the growing family who desires time together at home, or playing at the park and pool just 1 block away!"